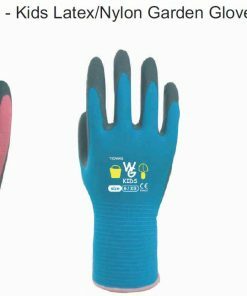 Twigz Gardening Gloves are designed for children to have flexibility in the garden. The PVC dots on the palm allow children to easily pick objects up and grip their tools. The Cotton Terylene blended material is hard wearing and gives full protection from microbes in the soil. The elastic wrists ensure the gloves do not fall off small hands.